This is one of the laminates I handed out in the workshop. Shows some volcanic rocks common to New Mexico. PDF of slides discussing mafic volcanism and examples in New Mexico. 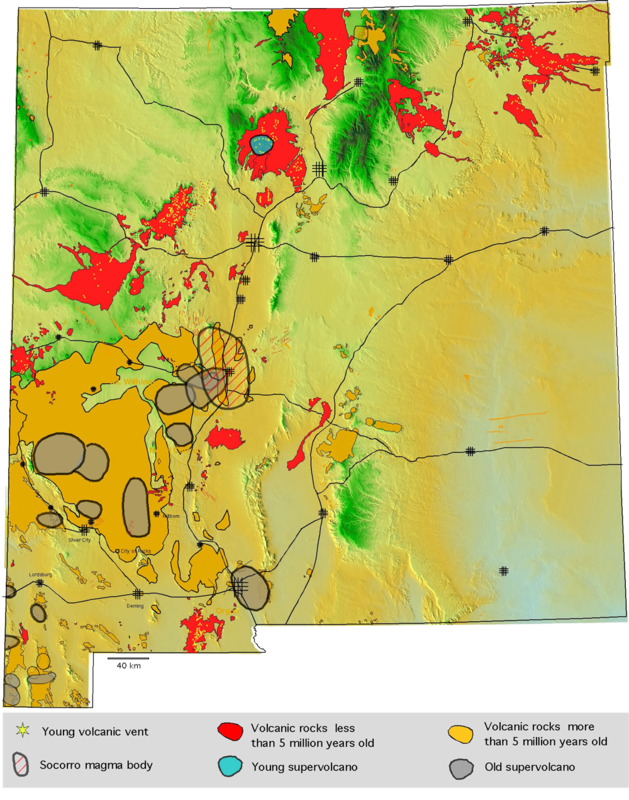 This was one of the laminates I handed out showing the areas of recent volcanism in New Mexico. 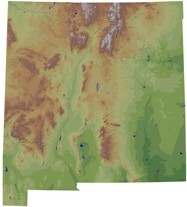 These are relief maps for the state of New Mexico. If you attended one of my workshops, you probably received a laminated version of one of these. Each file is the same thing – just at different resolutions.